Jonathan L. Slotter is a third lawyer from the SMU Dedman School of Law. Mr. Slotter was born and raised in Crosby, Texas, attending Crosby High School. Jonathan attended the University of Maryland, graduating with a Government and Politics degree and minored in philosophy. While at Maryland Jonathan was the Vice President of the Model United Nations, Secretary of the American Indian Student Union, interned for a congressman and was apart of the Phi Alpha Delta Law Fraternity. 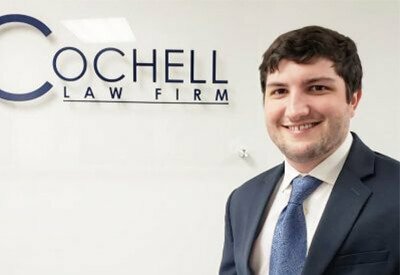 Mr. Slotter graduated from the SMU Dedman School of Law in 2015 and began working for the Cochell Law Firm in February 2016. While at SMU, Jonathan was a Notes Editor for the SMU Science and Technology Law Review, clerked for the Honorable Kristin Wade in the Dallas Criminal Court of Appeals, interned with the Harris County District Attorney’s Office, and interned for the Dallas City Attorney’s Office, Environmental Compliance division.